All Walt Disney World resorts have laundry facilities available to their guests. 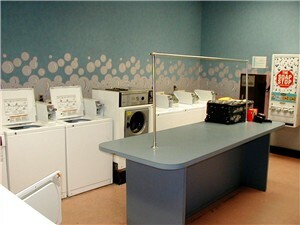 Coin-operated washers and dryers are in a central location- often near the pool. Washers cost $2.00 per regular sized load (not a large washer). Dryers are $2.00 per cycle and often take several cycles to completely dry your clothes. Laundry soap is available in vending machines for $1.00 per single use box. If your are staying in a one bedroom or larger unit at the Boardwalk Villas, Wilderness Lodge Villas, Old Key West or Disney Institute you will have a stacked washer/dryer unit in your room. Studio units have laundry facilities available near the pool. There are also same day laundry and dry cleaning services available from Guest Services at each resort. Bags can be found in your closet. This service is typically fairly expensive. A good idea if you are planning to do laundry during your stay is to bring detergent and dryer sheets from home. That way you will be sure to have the brand you prefer and enough of it. You can use plastic food containers and/or zip-lock bags to hold powdered detergent in single use portions. Also available are the very convenient detergent tablets (no spilling to worry about!). Consider using your largest pull-man suitcase as a laundry caddie. It makes the trek to the laundry facility much easier. Simply wheel your laundry. It works great in the reverse. Fold your clothes, place them back in the suitcase and wheel it to your room.